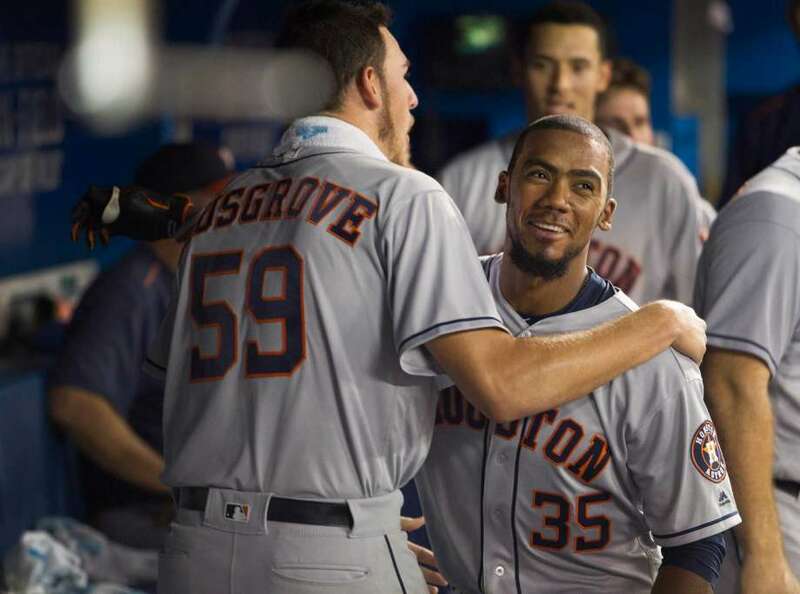 Ex-River Bandits outfielder Teoscar Hernandez homered Friday in his first major-league game for the Houston Astros, who beat the Toronto Blue Jays 5-3, earning former Quad Cities pitcher Joe Musgrove his first MLB win. In addition to his solo shot, Hernandez singled and drew a walk in his MLB debut. He played for the River Bandits in 2013, batting .271 with 13 HR, 55 RBI and 24 SB in 123 games. In Friday’s game, Musgrove gave up two runs on six hits and one walk in seven innings. He started last season with the River Bandits, going 4-1 with a 0.70 ERA, 23 strikeouts and one walk in 25.2 innings (five games/three starts) in the Midwest League. He made his MLB debut earlier this month. Toronto Blue Jays DH Edwin Encarnacion hit his 300th major-league homer in the game. He hit 18 homers and drove in 79 runs in 145 games with the 2001-02 Dayton Dragons. Blue Jays outfielder Michael Saunders also homered. He batted .240 with 4 HR, 39 RBI and 22 SB in 104 games with the 2006 Wisconsin Timber Rattlers. This entry was posted in Dayton Dragons, Midwest League, Quad Cities River Bandits, Wisconsin Timber Rattlers. Bookmark the permalink.